Snow blades for professional use on high-powered trucks and agricultural tractors. Snow blade for professional use on high-powered trucks and agricultural tractors. Its heavy duty structure makes this blade particularly suitable for use with deep snow on large roads, even when driving at high speeds. The anti-shock system is provided by a hydraulic system connected to a nitrogen accumulator. 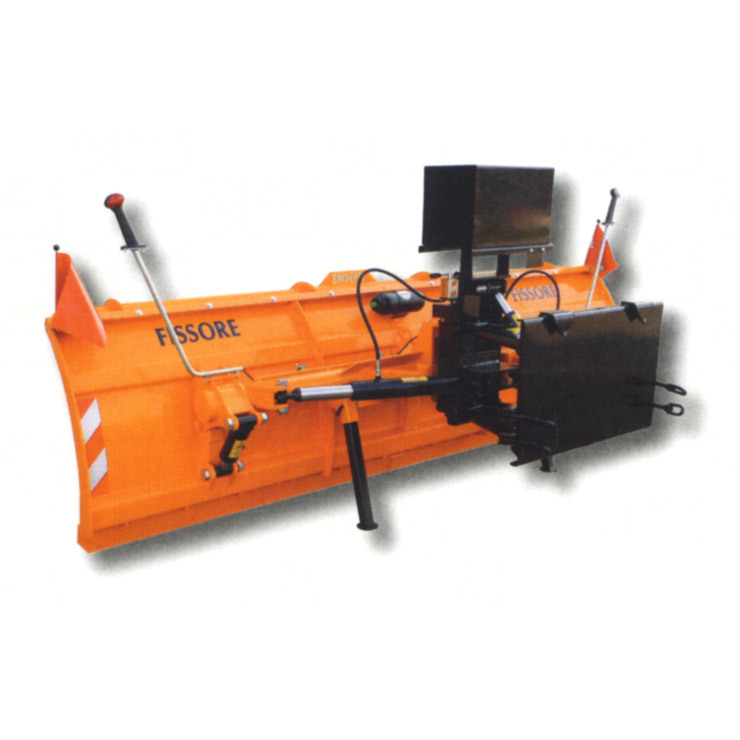 It can be fitted with a three-point attachment for front loader or parallelogram lifting system for agricultural tractors of trucks of various powers. The blade is tilted by two hydraulic cylinders connected by a hydraulic by-pass valve, for greater safety in the event of a collision. A mechanical device enables the blade to oscillate laterally following the pavement.